Hi everyone! I have to admit, my motivation for making this lip balm was a little selfish. Working outside during the summer, I got a little dehydrated a couple of times and my lips got chapped. Well, I grabbed my favorite lip balm (it starts with a C and ends with an x) – especially at night. One night my left leg was just screaming in pain and I couldn’t get comfortable. Used the lip balm and took a look at the ingredients. Dang. Seriously. You put that on your lips and basically eat it – even if you don’t think you eat it, your body absorbs it. Where do you think it goes? The thing about people who are chemists and such – they really believe the chemicals they use are the only way to achieve a certain result. Well, I don’t believe so. With each product I create to eliminate chemicals from our lives, I am affirmed that my belief about being able to have quality, natural personal care products without toxins IS possible – REALLY – my ingredient lists are pronounce-able and understandable! 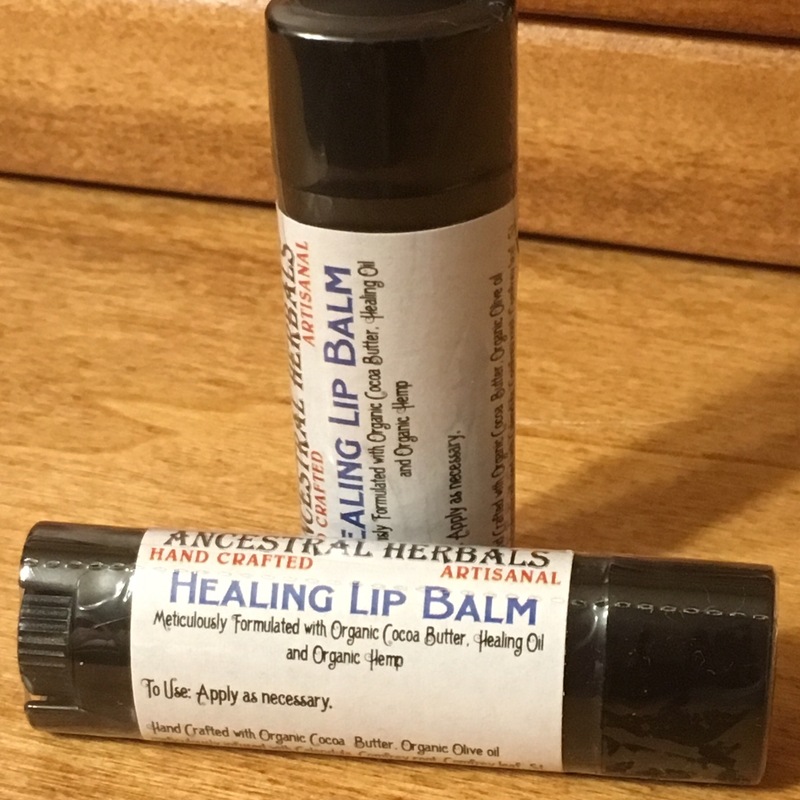 At any rate, much like with the original lip balm, this balm has menthol and camphor to stimulate blood flow – this increases healing, but it also gives the lips a nice, natural blush. This one also has my “healing oil” which is olive oil infused with herbs. Here’s my ingredient list.